Clinic Synopsis: It is easy for teachers to put on blinders when it comes to defining what success looks like in their classroom. Success may be different from school to school and from teacher to teacher. The purpose of this session is to examine some common misconceptions teachers have when setting expectations for their students, identifying what it means to be successful in the classroom, and exploring ways of creating and maintaining high (realistic) expectations. 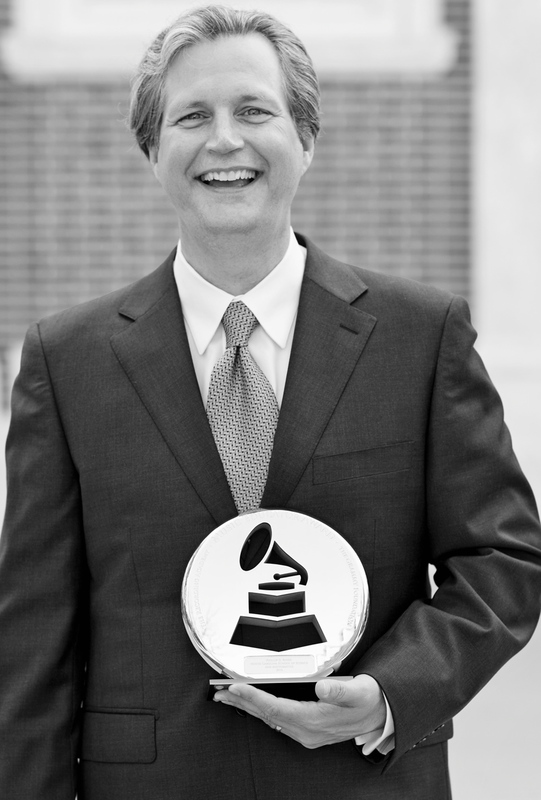 Clinician Biographical Information Phillip Riggs, 2016 Grammy Foundation Music Educator of the Year, is currently a music instructor at the North Carolina School of Science and Mathematics (NCSSM) in Durham, NC. Phillip is a recipient of the Exceptional Contribution in Outreach Award presented each year by the UNC Board of Governors for his work with music education programs throughout North Carolina. Prior to joining the NCSSM faculty, he was the first band director and fine arts chair at Ronald Reagan High School, Winston-Salem, NC. Phillip worked in partnership with the Winston-Salem Arts Council to establish the City of the Arts Jazz Festival. Mr. Riggs was the first faculty member selected to the Reagan High School Hall of Fame, (Fall, 2015). Before assuming that position, Mr. Riggs taught in Davidson County for sixteen years. In 2003, the Ledford Wind Ensemble was selected to perform for the NCMEA Conference with guest conductor/composer, Mark Camphouse, guest conductors Dr. John Locke (UNCG) and Dr. William Gora (ASU). Phillip currently serves as a guest conductor with the World Adult Wind Orchestra Project (WAWOP) held in Austria each summer. He is a co-founder and conductor of the NC Youth Wind Ensemble. Mr. Riggs is a Past President of the North Carolina Band Directors Association. He also served as chair of the North Carolina High School All-State Band (8 years), chair of the NCMEA Technology Committee and founding chair of the NCMEA New Teacher Committee. He was the coordinator of the National Association for Music Educators, (NAfME) National Wind Ensemble at the Kennedy Center in Washington, D.C. (2011, 2012). He currently serves as the Southern Division Representative on the NAfME Council for Band and is the state chair of National Band Association. Phillip, a National Board Certified Teacher, holds degrees from Appalachian State University and the University of North Carolina Greensboro. He is active as a clinician and adjudicator throughout the United States, Austria, and China. Second Clinician Biographical Information Scott C. Tobias currently holds the position of Director of Bands and Assistant Professor of Music at West Virginia University where his responsibilities include conducting the Wind Symphony, teaching courses in conducting, and providing administrative leadership for the WVU Bands program. Prior to his appointment at West Virginia University, Dr. Tobias served on the faculties of the University of Central Florida and Appalachian State University. He also previously served as a high school band director in the public schools of Georgia and South Carolina. Dr. Tobias has worked with a number of community music organizations including the Youth Band of Orlando, the Macon Symphony Youth Orchestra, and the Appalachian Youth Wind Ensemble. He remains active as a clinician conducting honor bands throughout the United States. Bands under his direction have performed nationally and internationally at events such as the Bands of America National Concert Band Festival, the Western International Band Clinic, the London New Year’s Day Parade, and the Cabalgata de Reyes (Madrid, Spain). Dr. Tobias is a recipient of the National Band Association Citation of Excellence, and the UNC Board of Governors Excellence in Teaching Award. While at Appalachian State University, he was awarded the Hayes School of Music Outstanding Teacher Award. 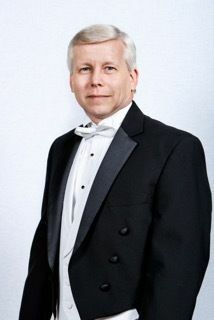 Dr. Tobias received the Doctor of Musical Arts degree in Conducting from the University of Georgia, where he also earned a Masters degree in Music Education. He received the Bachelor of Music degree in Music Education from Furman University. Dr. Tobias presently serves as 1st Vice-President and President-Elect of the National Band Association. Additional professional affiliations include the National Association for Music Education, College Band Directors National Association, West Virginia Music Educators Association, Pi Kappa Lambda, Kappa Kappa Psi, Tau Beta Sigma, Sigma Alpha Iota, and Phi Mu Alpha Sinfonia. Third Clinician Biographical Information Dr. Matthew D. Talbert is an assistant professor of music education at Ohio University. At Ohio University, Talbert’s duties include teaching undergraduate and graduate courses in music education, supervising student teaching experiences, coordinating the online MME degree, and serving as the chair of the music education division. Additionally, Dr. Talbert is the founder and director of the Ohio University New Horizons Band, a band that provides opportunities for adults age 50 and older to learn to play an instrument. Talbert’s current research interests include the manner in which adult amateur musicians process music, the role of mentoring in aiding in teacher retention, and lesson planning strategies of pre-service music teachers. Dr. Talbert is a member of the National Association for Music Education, the Ohio Music Educators Association, the National Band Association, Pi Kappa Lambda, and is an honorary member of Tau Beta Sigma. Dr. Talbert currently resides in Athens, Ohio, with his wife, Jaclyn, and their two children, Davis and Gracie. Dr. Talbert holds degrees from Appalachian State University (BME, MME) and earned a Ph.D. from the University of South Carolina.